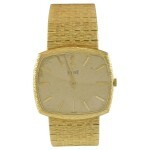 A great gentleman’s Piaget 18k yellow gold wristwatch. 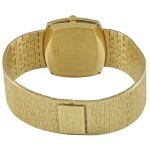 The dial is 18k yellow gold classic index indicators. Quartz movement.